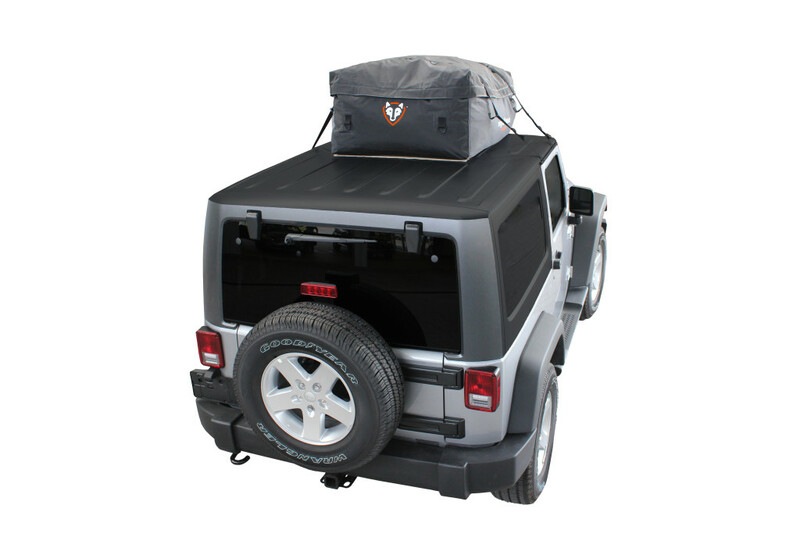 Recently, we have been asked by several customers if it is possible to use one of our car top carriers on top of a Jeep Wrangler. The answer is yes, but only on a hard top Wrangler. As a small precaution, we recommend comparing the weight that you would like to place in the carrier to the load rating of the hard top. The carriers work great on the Wrangler. The carrier’s straps attach to the roll bars on each side of the Jeep. The doors close over the straps. 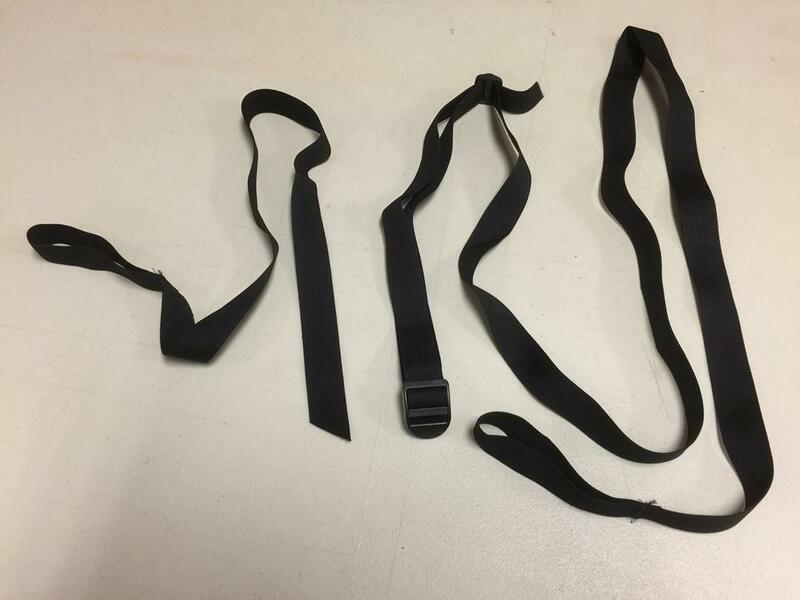 If you purchase a Sport 3, Sport 2, Sport 1, Edge or Ace Carrier, you will need to modify the carrier’s straps before attaching the carrier to your Jeep. 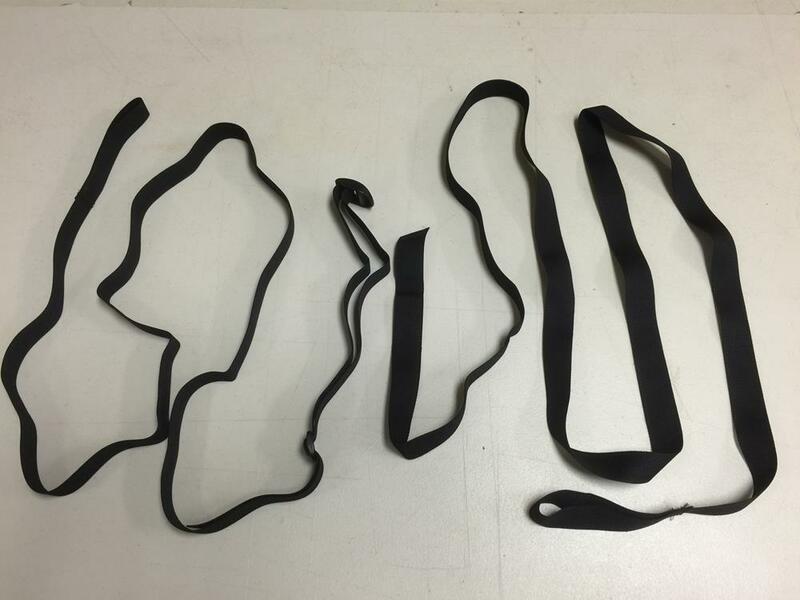 The Sport Jr’s straps require no modification (except removing the Car Clips). Your carrier comes with (4) straps. Unthread the short strap pieces from the center buckles on (2) straps and set them aside. On (1) of the (2) remaining strap pieces, take off the plastic center buckle and tri-glide. Thread the buckle-less strap piece through the buckle on the 2nd strap piece. Repeat this process using the other (2) straps that come with the carrier. 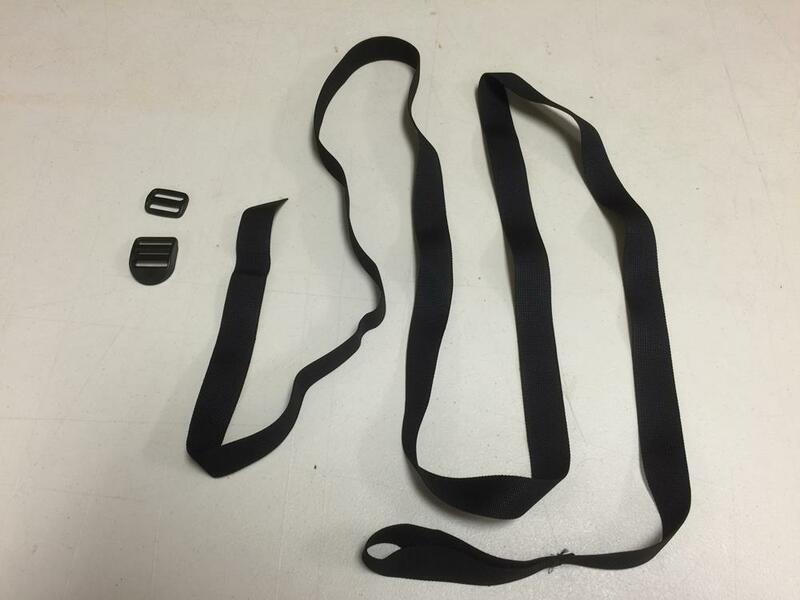 You will now have (2) longer-than-normal straps to attach the carrier to the Jeep. On 4 door Jeep Wranglers, attach (1) strap to the roll bars in the open front doors and (1) strap to the roll bars in the open rear doors. It is also possible to attach (2) straps to the roll bars in the open rear doors, leaving room for the freedom tops to be removed. On 2 door Wranglers, attach (2) straps to the roll bars in the open front doors. Starting with one strap, unthread strap piece A from the buckle on strap piece B.
Loop strap piece B around the roll bar on the driver side of the vehicle. Run strap piece B through the side D-ring of the carrier and up over the top. Adjust the tri-glide on the strap so that the buckle is positioned on the passenger-side top corner of the carrier. Loop strap piece A around the roll bar on the passenger side of the vehicle. Run strap piece A through the side D-ring of the carrier and through the buckle of strap piece B. Cut off the extra length of the strap piece A and melt the cut end to prevent fraying. 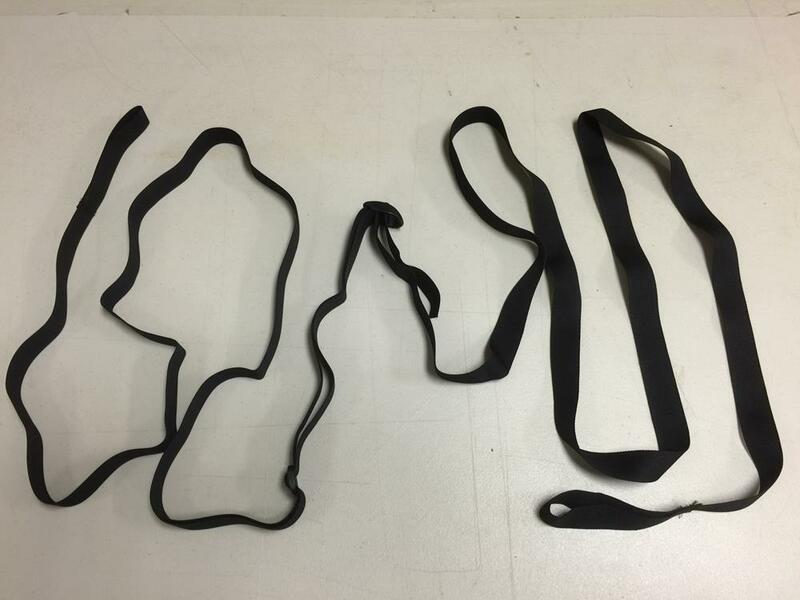 Tie off any excess strap length. We recommend the use of the Rightline Gear Non-Skid Roof Pad when using a car top carrier on top of a Hard Top Jeep Wrangler. Please contact us if you have any questions regarding this installation. Hi Jennifer. 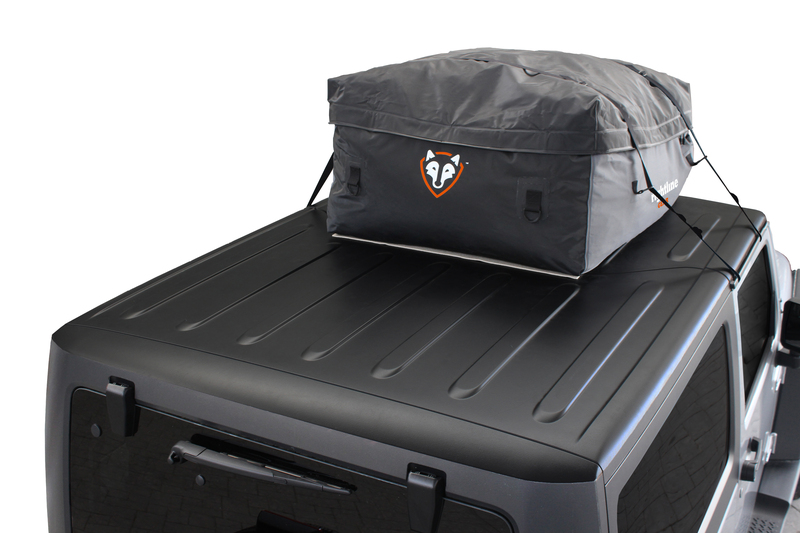 Yes, we recommend our Auto Duffle Bag for the Wrangler Jk 4-door with the T-Tops removed. 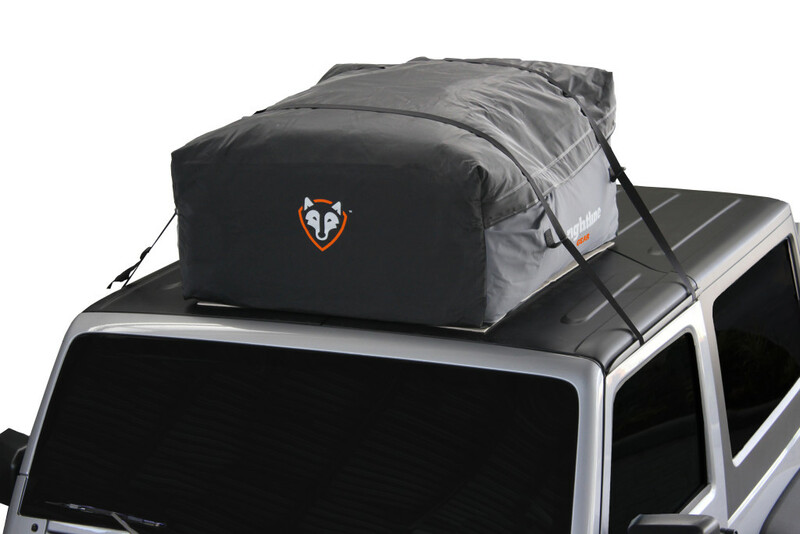 The Auto Duffle Bag is the perfect size to mount on the rear portion of the hard top. 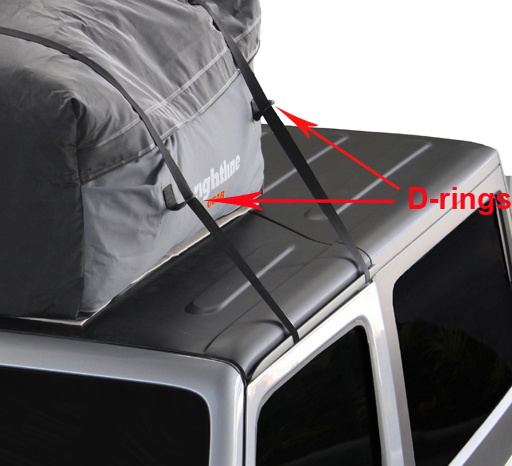 Please click on the photo in the upper right hand corner here: http://rightlinegear.com/auto-duffle-bag.html This shows you the Auto Duffle Bags on a Wrangler JK 4-door with the T-Tops removed. Mount up to (4) Auto Duffle Bags side-by-side on your Jeep’s roof to give you about as much storage as our Sport Jr. Car Top Carrier, at roughly 9 cubic feet.